The Vari-Slo drive adjusts the speed of the drill without steps, by utilizing a continuously variable transmission. Adjusting the speed control lever moves the pulleys forward or backward, changing the tension from the front and rear belts. as the pulleys move forward, the rear belt tightens, pulling itself closer to the centre of the pulley, pushing up the middle ring, causing the middle belt to push outward. 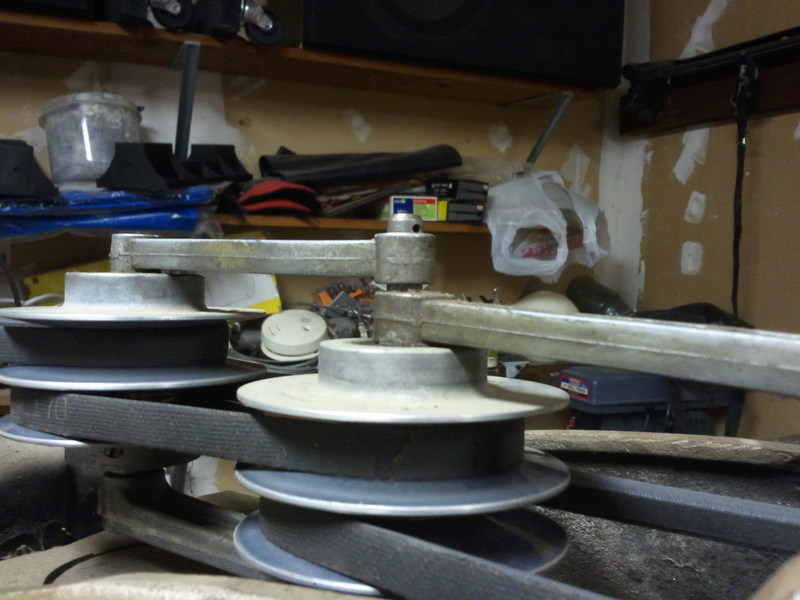 Moving the pulleys rearward does the same thing, but with the front belt this time. the sliding cenre section changes the radius of the pulleys, thus changing the drive ratio.